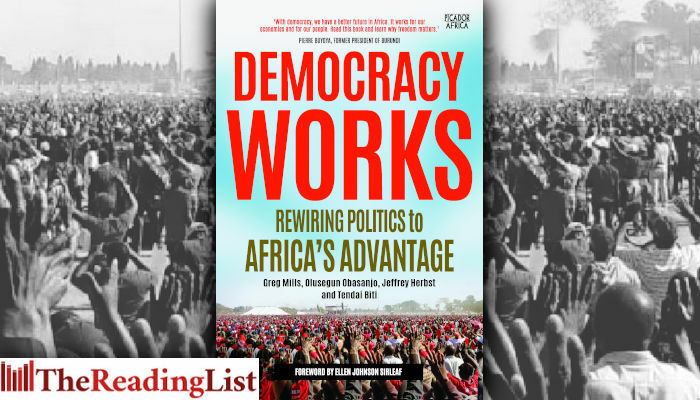 Democracy Works: Rewiring Politics to Africa’s Advantage, by Greg Mills, Olusegun Obasanjo, Jeffrey Herbst and Tendai Biti, is out now from Picador Africa. Picador Africa is proud to be releasing this seminal work directed towards leaders and all citizens wishing to address the extreme challenges facing Africa and South Africa. Democracy Works explores how we can learn to nurture and deepen democracy in Africa to ensure economic growth and political stability. Making democracy work relies on much more than having free and fair elections. It depends on what happens between elections. It relies on the systems and institutions of government. Very importantly it hinges on what politicians want to do with the power they acquire, beyond the power itself. It also demands that local leadership has a plan for the country beyond simply winning the popular vote. Greg Mills heads the Johannesburg-based Brenthurst Foundation; Olusegun Obasanjo is a former president of Nigeria; Jeffrey Herbst is the president of the American Jewish University and Tendai Biti is a former finance minister of Zimbabwe.